Fourth graders in Collinsville Community Unit School District #10 who attend Kreitner, Caseyville, Summit, Twin Echo, Webster, Jefferson and Renfro Elementary Schools were invited on a field trip to Barnes & Noble bookstore in Fairview Heights to learn how books are made, shipped and sold. The students were exposed to a variety of literature that is directly aligned to ELA (English Language Arts) standards. In addition, each student received a snack, book and bookmark. 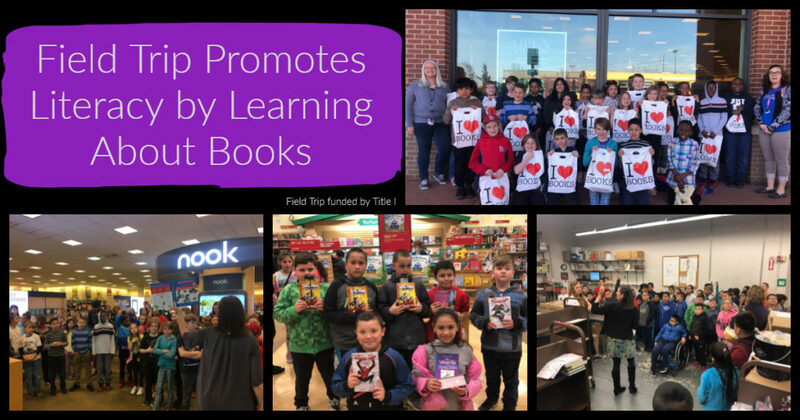 The Promoting Literacy Field Trips took place the week of March 25th, 2019 and were funded by the district’s Title I grant.